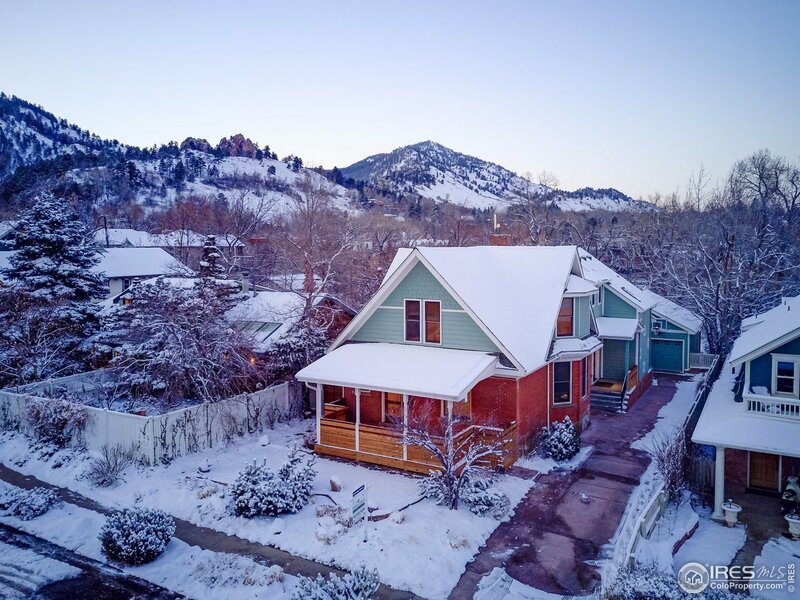 Fabulous Downtown Boulder stream side home with stunning views! Rebuilt with allergen free materials, hardwood floors, owned solar panels, walkout basement with studio. In floor radiant heat. Amazing chef&apos;s kitchen with top of the line appliances. Super stylish open floor plan, light and bright, with exposed brick walls. Stairway down to the Boulder Creek. Don&apos;t miss this opportunity!